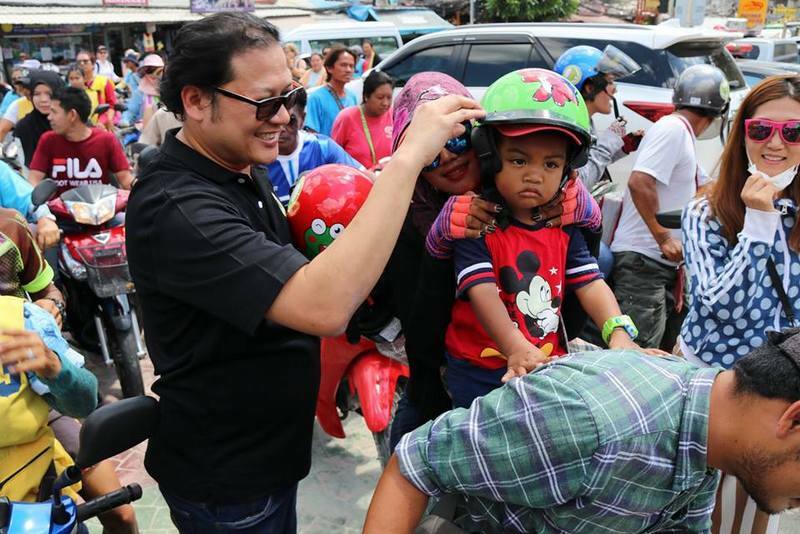 PHUKET: Patong Police together with Patong Municipality and the Patong Development Foundation, headed by local scion Preechavude ‘Prab’ Keesin, launched their “Where your helmet?” campaign yesterday (Feb 21), handing out 500 helmets free to people gathered at the Bangla Police Box at the beach end of Bangla Rd. Present for the launch were Patong Police Chief Col Anotai Jindamanee, Patong Mayor Chalermluck Kepsub and Mr Keesin, president of Patong Development Foundation. 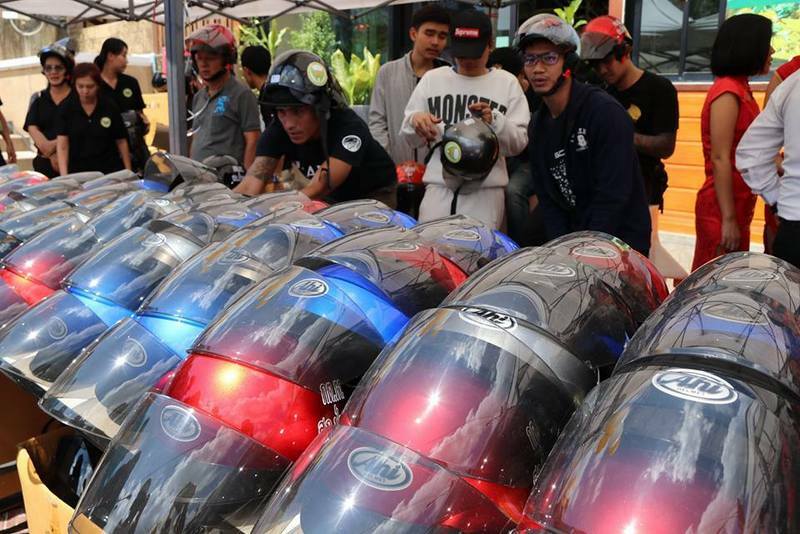 “Motorbikes still comprise the vast majority of road accidents, leading to many injuries and deaths. This campaign can help to reduce that,” Col Anotai said. 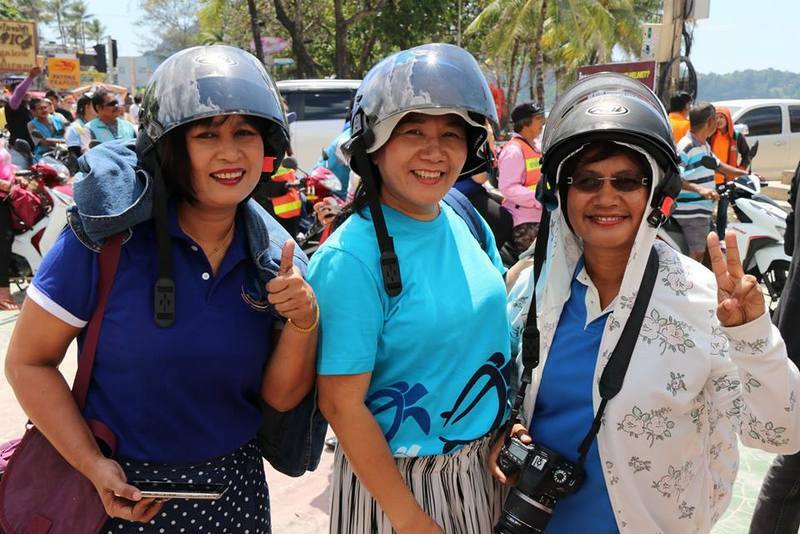 The campaign has been well received by local residents and entertainment entrepreneurs in Patong, and a shift in attitude towards wearing safety helmets is underway in the resort town, Col Anotai, noted. 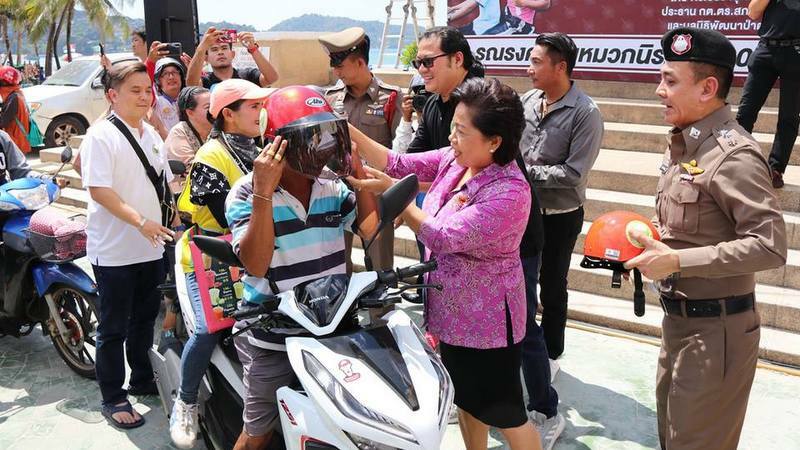 “More people in Patong are wearing helmets, a fact observed by statistics showing that the number of people fined for not wearing a helmet is falling,” he said. 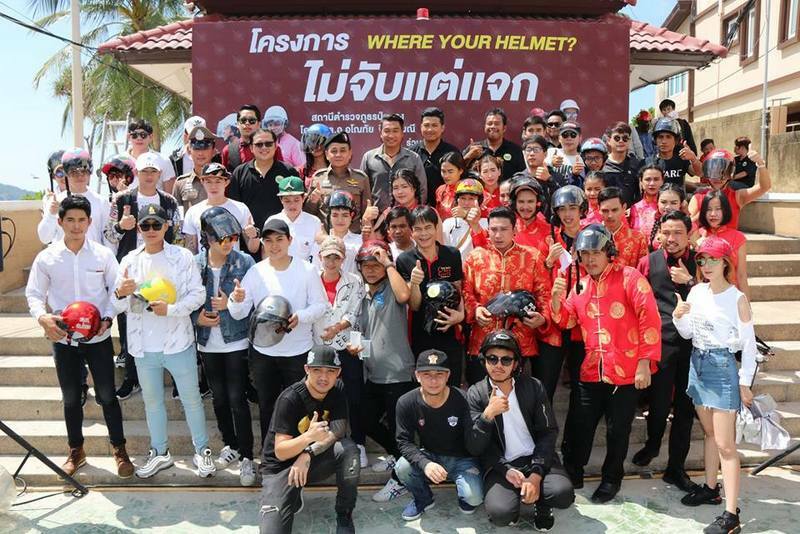 “I would like to thank everyone involved in this campaign, which we will continue and we ask for all people willing to donate helmets to contact us,” he added. “The goal is to keep the campaign ongoing we understand the importance of safety when using our roads,” Mr Keesin said. 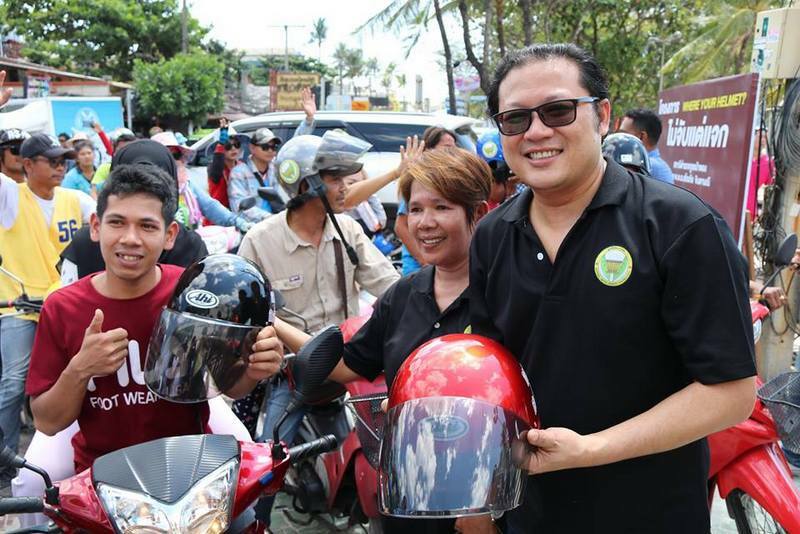 “We want to see the campaign continue until everyone is wearing a helmet anytime they are on a motorbike,” he added. "the number of people fined for not wearing a helmet is falling"... That's why so many people were perfectly happy to ride helmet-less past such a visible, central and prominently policed location in the first place. If you say it enough it makes it true, right? 'Scion'- that's an interesting word for him!! A great measure, but give away a really good helmet then and not a soup bowl.